In many ways, the outcome of the eleventh Hottest 100 Aussie Craft Beers poll has thrown up more than its fair share of changes, not least the impressive showings by breweries from the Northern Territory, Queensland and Northern New South Wales making first appearances. Yet the top four remains unchanged and, for all that beer styles are diverging left, right and centre, it’s pale ales and IPAs dominating once again as more experimental releases continue to retreat to the lower reaches of the countdown if not disappearing completely. Another record participation – 31,000 people cast 155,000 votes, according to the organisers at GABS as they revealed the size of the poll for the first time – delivered a result that suggests the power of smart marketing and campaigning has never been greater. It also delivered a result that will please the Independent Brewers Association as it looks like drinkers – at least those engaged enough to vote in such a poll – do care about ownership, with all four of the major acquisitions of the past few years seeing their fortunes falter; indeed, Mountain Goat has disappeared from the top 100 altogether. But let’s save such things for our analysis article and this year’s infographic and instead offer congratulations to those who’ve excelled. There would have been few who would have bet against Balter going back to back with their XPA and the Gold Coast brewery did just that while embellishing their top spot with no less than six beers in the top 100 and the most votes overall. Stone & Wood’s Pacific Ale continues to be the beer world equivalent of an ultra marathon runner; after making its debut at three in 2010, the era-defining beer has never been outside the top two since. Meanwhile, Canberra’s BentSpoke not only held onto its number three spot but also landed five beers in the top 25 – just one part of a strong showing for the nation’s capital as Capital saw no less than six beers make the 100. Elsewhere, there will be hearty celebrations going on across the Sunshine Coast, in Darwin, Far North Queensland, Mornington Peninsula and New England after a host of newcomers blazed into the Hottest 100. Your Mates, who have just thrown open the doors of their impressive new brewery home on the Sunshine Coast, achieved the highest entry of all newcomers to the top 100 at 13, while near neighbours 10 Toes landed three beers there and Brouhaha’s Strawberry Rhubarb Sour completed the picture for a region that has gone from one to more than a dozen breweries in little more than five years. Two trailblazers from the northernmost reaches of the country also debuted, with Darwin’s One Mile blasting their way in with four top 100 beers (read our recent feature on beer in the NT here) and Hemingway’s, which has breweries in Cairns and Port Douglas, appearing at 34 with Pitchfork Betty’s. 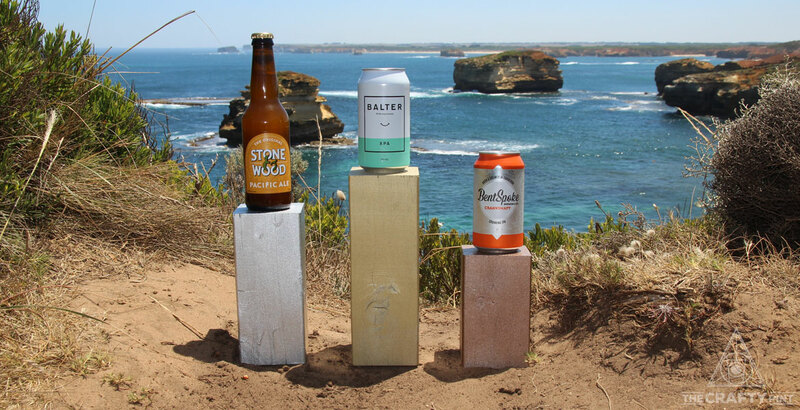 The newcomers to the 100 were completed by The Welder’s Dog from Armidale (three beers), Jetty Road from Dromana (two beers) and Sauce Brewing from Marrickville (two beers). As well as our analysis and infographic, we've got an interview with poll founder Steve Jeffares below the table so scroll down for his thoughts. And look out for follow up interviews with some of the people making the stories in the coming days. You can download a print version of this table here. 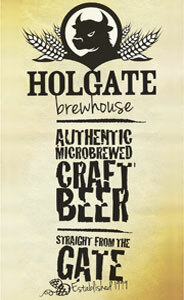 And you can access the H100 Indie Beers here and beers 101 to 200 here. Steve Jeffares launched the Hottest 100 poll at his pub, The Local Taphouse, in 2008 and has since gone on to become one of the founders of GABS and Stomping Ground. Due to the crossover in ownership, Stomping Ground beers are currently excluded from the poll. How do you feel the poll is going in its 11th year? SJ: With a record 155,000 plus votes cast by more than 31,000 passionate craft beer drinkers across the country, I think the poll clearly remains fun and relevant for those involved. It's such an exciting time! While the podium is the same as the previous year, there are still many interesting takeaways from the entire results – I think the poll still continues to surprise, delight – and infuriate! Whatever people's opinions on the poll, it clearly creates plenty of discussion and, while some people take it more seriously than it was ever intended to be, having so many people talking about their favourite craft beers and breweries is a positive thing. While they are the "hottest" and most popular beers in the country, many of the beers on the list are also critically acclaimed and multi award-winners. As much as I love the Hottest 100 beers being revealed each year, I'm personally just as interested these days in the beers and breweries featured in the Next 100 and Hottest New Beers lists as they can reveal trends in styles and breweries that the main list can miss. The poll always throws up surprises but this year the number of independently brewed beers in the poll at the expense of the mainstream breweries stuck out to me. With Queensland breweries - led impressively by Balter - also doing so well, it seems our decision to bring the GABS Festival to Brisbane for the first time this year (April 27) may have been the right one! For Stone & Wood's Pacific Ale to be number two and again so high on the list after so many years is an incredible achievement I hope they will celebrate. The speed at which many people and beer sellers are becoming hyper-local in the breweries they support is also very interesting. As more breweries and brewpubs open around the country, and bars, pubs, bottleshops and restaurants increasingly showcase their local breweries' beers, I think voting in future years may become even more parochial. Why do you think so many newcomers – One Mile, 10 Toes, Your Mates and the like – have stormed into the 100 so impressively, especially considering there's been another big increase in votes? I think a growing number of breweries are getting better at converting their fans, customers, community and even state or territory – in the case of Northern Territory's One Mile Brewery – into votes for their beers. Some have even been able to attract local media coverage during the voting stages. What are your thoughts about the fall of the brands now part of bigger beer companies? I think the fact that beers from the formerly independent breweries acquired by the multinational breweries have fallen in the poll results, or disappeared completely, is probably because a growing number of beer drinkers would rather give their Hottest 100 vote – if not their dollars – to local and/or independent breweries, especially those with a strong local connection to them. That said, the priorities of the multinational breweries may be focused elsewhere and they may not be as interested in campaigning for votes for their craft brands anyway. Why do you think Coopers have come back so strongly, especially considering the roller coaster of the past couple of years? Releasing their beer in cans certainly have helped Coopers, along with their ubiquity in the market. At some point, many beer drinkers enjoy a familiar beer that harks back to the simpler days and Coopers may have benefited from that notion. And what about the disappearance or non-appearance of some well established or much-loved breweries, such as Two Birds, Hawkers, Newstead, Wildflower and White Rabbit? That is a good question I can't really answer! Most of those breweries feature in the Next 100 list along with many high quality beers but it obviously isn't a reflection of how good their beers are. Wildflower probably suffers from its very limited availability. Find the rest of our Hottest 100 of 2018 coverage here.